Need a space for volleyball practice? Multiple courts for a basketball tournament? A center stage to host a premier sporting event? 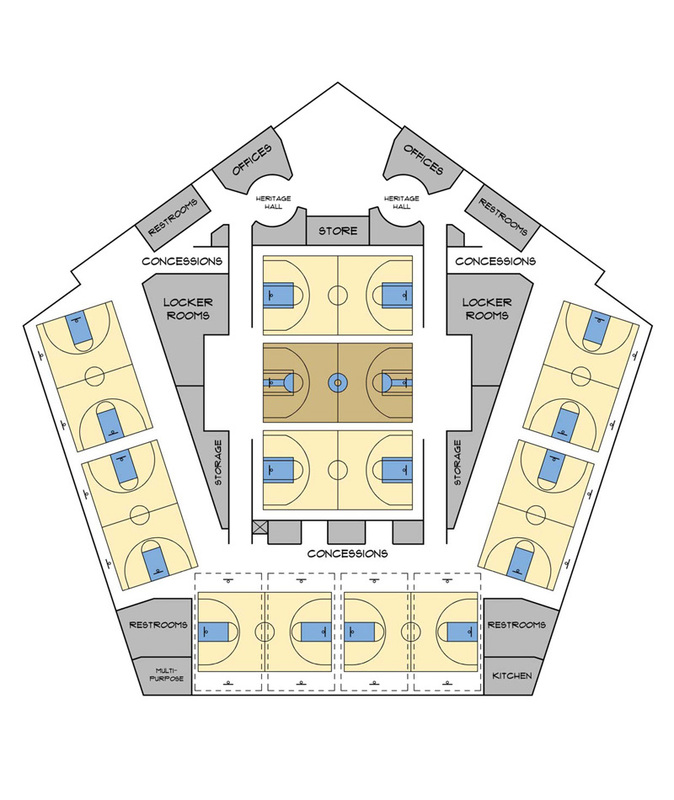 The nine courts within the Sanford Pentagon are available for rent and are well equipped for basketball, volleyball, wrestling, dance, cheer, and more. To rent Pentagon space, please call us at (605) 312-7900. Enjoy a space that best suits your needs, whether it’s business or personal. Our rooms accommodate groups from 12 to 300 and are equipped with the latest AV technology. Call (605) 312-7900 to reserve a room or for more information.